The Partnering Group is excited to announce that Elena Mendoza has joined the firm as a Partner in the Supply Chain Practice at The Partnering Group. Elena is a Global Supply Chain Leader with extensive experience in planning and executing projects for Domestic and International markets. Elena is professionally oriented to deliver desired measurable results; maximizing operational performance, people oriented, and collaborative business peer. Understands wholesale and retail markets, capable to adapt to new environments and/or new business requirements to identify operational opportunities for improvements in service and cost, and ensuring sustainability. 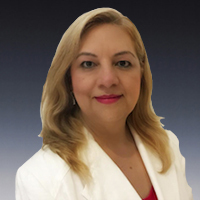 Elena brings 18 years of experience from Walmart Mexico and Central America with progressive responsibilities in Logistics Operations as Traffic, QA and Systems Supervisor, Area Manager, Regional Division Manager, and Replenishment Sub-Director. Elena also has 6 years’ experience as an Independent Supply Chain Consultant for Essendant and Grainger across multiple international countries. Over the course of her career, Elena has achieved significantly increased responsibilities in Distribution Center Operations, Transportation, and Replenishment for both General Merchandise and Perishable Logistics Operations for the world’s largest global retailer. She is an experienced operations leader and has led teams in these functional areas with over 2,500 associates. While Sub-Director of Replenishment, Elena was responsible for all perishable products, private brands, pharmacy, and new store replenishment for all business formats. Her responsibilities have also included development, training, implementation, and auditing Standard Operating Procedures that guided the networks to meet key operational goals and objectives. We gladly welcome Elena to The Partnering Group, her experience will give our clients confidence as they purse Revenue and Profit growth in a dynamic business climate.